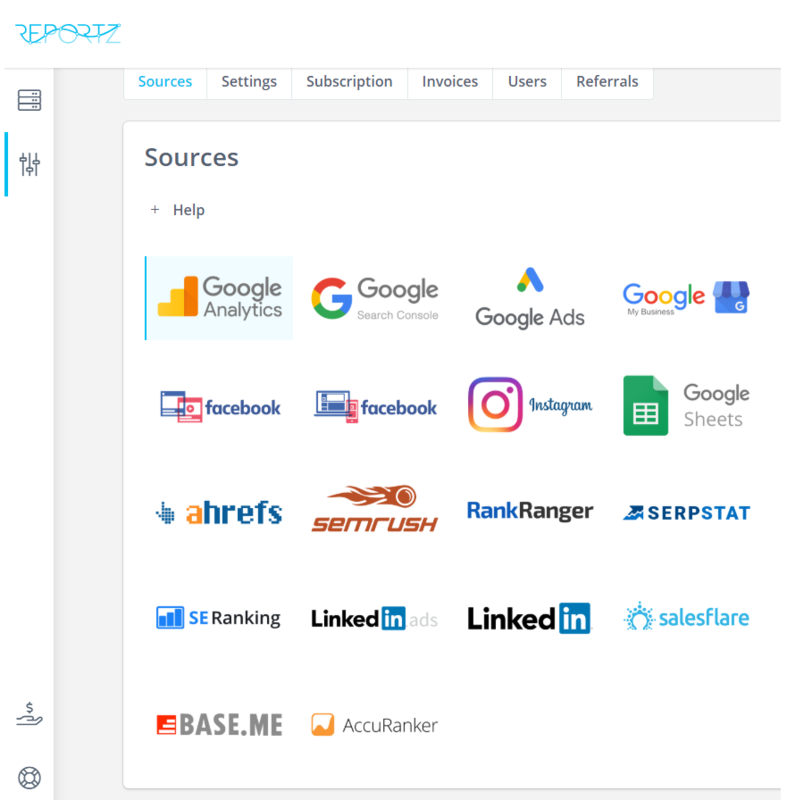 What are data sources in Reportz? In order to make some great reports, start with adding your preferred data source from available pool of added integrations. You can see all currently available integrations on Reportz Integrations page . All added sources on your account can be reviewed and managed here, on Sources tab on Account Settings page.